From the New York Times best-selling author of Mastermind: How to Think Like Sherlock Holmes, a compelling investigation into the minds, motives, and methods of con artists - and the people who fall for their cons over and over again. From multimillion-dollar Ponzi schemes to small-time frauds, Konnikova pulls together a selection of fascinating stories to demonstrate what all cons share in common, drawing on scientific, dramatic, and psychological perspectives. Insightful and gripping, the book brings listeners into the world of the con, examining the relationship between artist and victim. 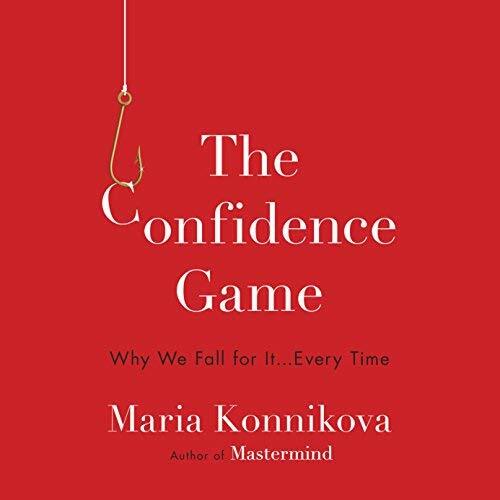 The Confidence Game not only asks why we believe con artists but also examines the very act of believing and how our sense of truth can be manipulated by those around us.